Dedicated to helping women world-wide feel beautiful, feminine, healthy, and empowered in body, mind, & spirit. 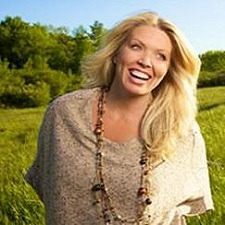 Crystal Andrus is a leader in the field of self-discovery and personal transformation. A former 200 pound stay-at-home mom turned best-selling author, radio host, life coach, fitness expert, nutritionist, and single mother of two, Crystal has weaved the tumultuous and triumphant stories of her own life into a courageous journey of healing, health and ultimate self-empowerment that has inspired thousands. A personal coach to people from all walks of life including celebrities, medical doctors, artists, musicians, scientists, psychologists, other bestselling authors and coaches, as well as to simple, ordinary people in need. Crystal's passion is to get down in the trenches and help those who are ready and willing to become the heroes of their own lives.